Sammy Monsour is a third generation chef, cookbook author and food activist. You may recognize him from his numerous appearances on Food Network, Travel Channel and Hallmark. He is a graduate of the “Culinary Institute of America” and veteran of several professional kitchens, with roots stemming from his parent’s neighborhood joint in Chapel Hill, North Carolina. 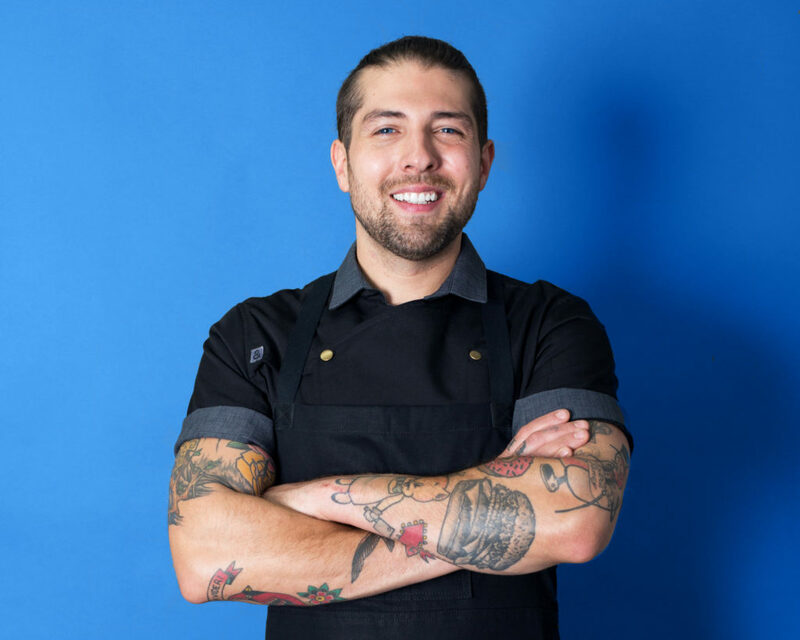 His passion for sustainability, application of modern technique and devotion to cooking with soul are staples throughout his interpretation of regional Southern cuisine. His cooking has received acknowledgment and acclaim from many great American food institutions, including “James Beard Foundation,” “Eater,” “American Culinary Federation” and “Zagat.” Sammy currently resides in Downtown Los Angeles where he is the Executive Chef of Preux & Proper, “Chefs Collaborative” LA Locals Leader and member of the “Monterey Bay Aquarium Seafood Watch” Blue Ribbon Task Force.